In London, last Friday, we were deeply honoured to welcome Masami-san to our home for her first ever Awakin Circle, alongside her big-hearted, always-smiling daughter, Maki-san! 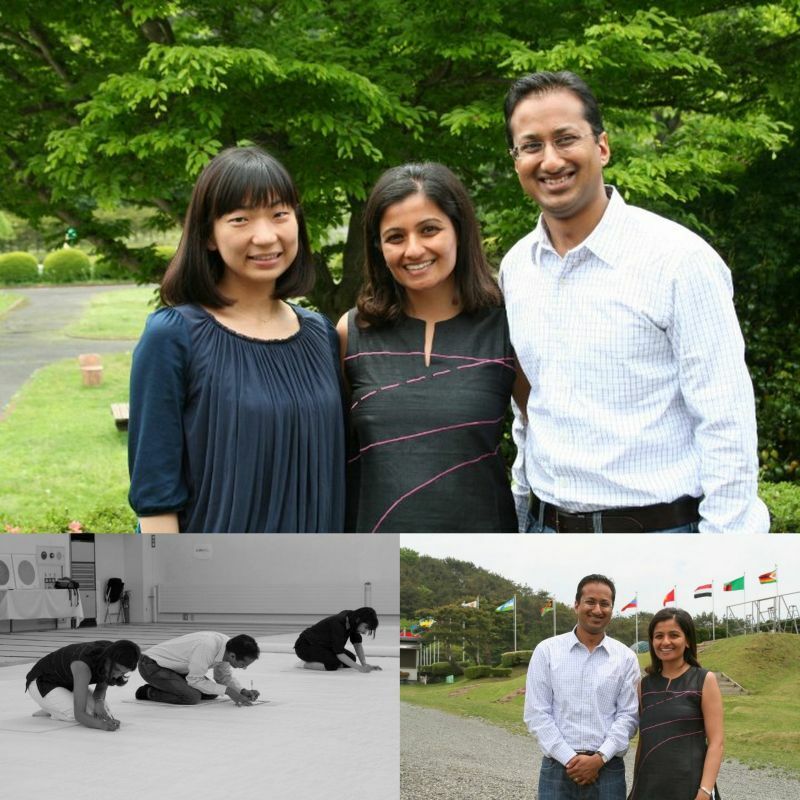 Back in 2010, just weeks after Nipun's first time visiting the Saionji family in Tokyo, Deep and I were blessed to meet up with Yuka (Masami-san's youngest daughter) and visit the Fuji Sanctuary, where the Symphony of Peace Prayers is held each year. We were completely blown away by the love with which the space was created and held, and the deepest intention with which prayers have been offered by thousands of people over so many years. And of course we had a joyful time connecting with Yuka and learning all about her family's lifetime of service. Following on from this trip, seven years later, it was a beautiful blessing to have Masami and Maki visit us at home here in London for 5 days, where several gatherings unfolded. We are so grateful to Nipun for planting the seeds that brought them here and to all three of them for sharing so much inspiration with the local ServiceSpace community of noble friends. We are so grateful, as always, for all the invisible hands and hearts who helped to co-create this gathering, from people who brought offerings of desserts, to folks who helped clear up and piece the house back together. The morning after the Awakin Circle, our youngest daughter Sareena came running to my bedside in the morning bursting with excitement. The previous day, she had received a gift of some colourful children's stationary from Masami and Maki. Early the next morning after she woke up, her cup of gratitude was overflowing and she felt moved to make Masami-san a card with the stationary she received. I was so surprised when she told me all this, and when she showed me what she wrote in the card, my heart nearly melted, it read: "Dear Masamiba (ba means grandmother in Gujarati), You are so loving and kind. Love, Sareena and Ariyana" When I asked her what moved her to write that, she said that Masamiba is always sharing her love with everyone around her, smiling and giving everyone big hugs. :) The ripples of Masamiba and Aunty Maki's love even deeply touched our daughters' hearts. Deep bows of gratitude to Masami and Maki for sharing their roots and wings with everyone at the gathering and for reminding us that we can each do our bit to pray for peace in our own hearts and in the world around us. Smiling wide looking at these pictures of joyful faces. Beautiful hearts and joyful smiles all around..